Banker Lopez Gassler is a bronze sponsor at the 2013 Heroes Among Us Dinner hosted by the St. Petersburg Bar Association. The event will honor heroes Robert P. Byelick and Gail F. Moulds and rising star Brittany Maxey. 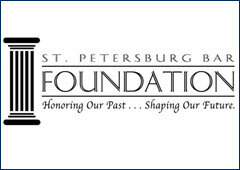 Proceeds from the event will benefit the St. Petersburg Bar Association.